What is the difference between Level 2 & Level 3 Models? Both Level 2 and Level 3 3D Models are manually captured from latest aerial imagery available for the area of interest. Level 2 3D Models are accurate to 50 cm in all axis. The 3D Model is very light and low poly. Buildings are captured with correct roof shapes of main structures with only chimneys, parapet walls and dormer windows omitted. Terrain is accurate to 20 cm and separated into land use categories. Trees locations (captured with correct height and canopy width) are also included. Level 3 3D Models are accurate to 15 cm in all axis. Buildings are captured with correct roof shapes and all features such as chimneys, parapet walls or dormer windows. Terrain is separated into land use categories. Trees locations (captured with correct height and canopy width) are also included. What 3D formats can I choose from? Any model can be delivered as AutoCad solid .DWG, SketchUp .SKP or .FBX files. 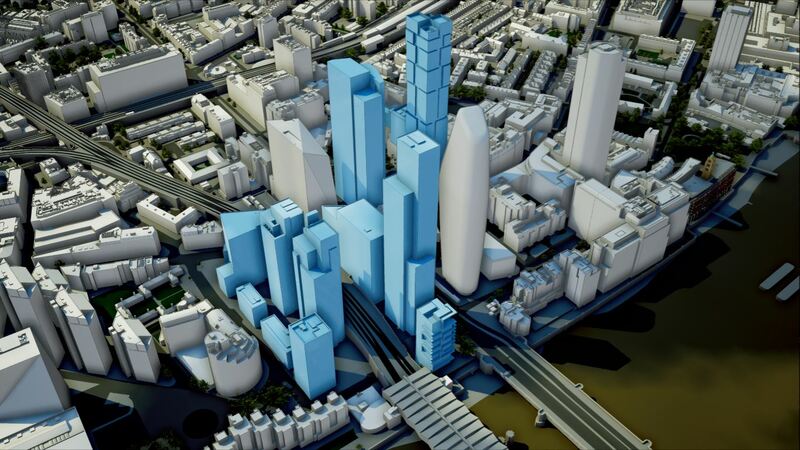 High Detail 3D Model of London subscribers also receive Unreal Engine 4 app and all associated UE4 files. If you require facade detail, we can upgrade our Level 3 3D models to Level 4 using a combination of custom high-res photographs and terrestrial photogrammetry. If you require interior models, we can upgrade our models to Level 5 – please get in touch to discuss. How much do 3D Models cost? Please visit our prices page for further info. How can I use the 3D Models? 3D models are distributed under company-wide, multiple-use licence which covers the use of the 3D model for 5 years. The User is granted a worldwide, non-exclusive licence to use the 3D Model to unlimited number of Derived products (renders, animations), Incorporated products (Interactive Application, import into custom software), conduct In-house work and use 3D Model data for Physicalization such as 3D printing. Customers cannot distribute, alter to distribute or re-engineer the 3D model in any way. Read full EULA here. Can I try & test 3D models first? Of course – feel free to Download sample tile TQ3280SE. This large 500 x 500 meters sample can be used to evaluate the 3D models. The sample can be downloaded as AutoCad solid .DWG, SketchUp .SKP, FBX. Different Levels of Detail 3D models are available in every format. When can I get my 3D model? Turnaround times depend purely on the size of the project. ie the bigger the project, the longer it will take to build. As a guide…. Standard bespoke built Level 3 models of 0.1km2 take up to 5 working days. If model falls in our 40km2 pre-built area then models can be delivered within 24-48 hours. Level 3 models can be ordered from as little as 0.1 km2 (which is about 315 x 315 meters in real world). 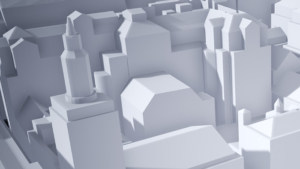 Level 2 models can be ordered from as little as 0.25 km2 (which is about 500 x 500 meters in real world). 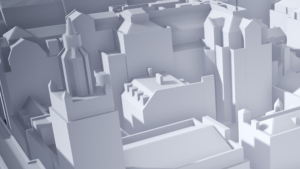 Custom 3D models can be ordered in any shape – simply mark up a map, send it over to us and we will come back to you with a quote. What happens after I send you a quote request? We will usually come back to you typically same day with costs and delivery times for your project. Once these are confirmed by you we will order imagery, set-up a Photogrammetry project, manually capture your 3D model, post process the data and deliver the 3D model to you in required format via a download link. How can I send you my map for a quote? We’re happy to accept whatever form or format of map you have to understand your requirements, simply email it to info@joanna-james.com with your name, company, required Level of Detail and your contact details and we will come back to you. How can I pay for a 3D Model? Business customers will be invoiced with 14 days payment term in or shortly after 3D model delivery. Non-business customers might be asked to pay via Card, PayPal or UK money transfer before we accept an order. Do I need an account with you to order a 3D Model? You don’t need to have an account with us to order 3D models.